These little reindeer reminded me f my childhood. 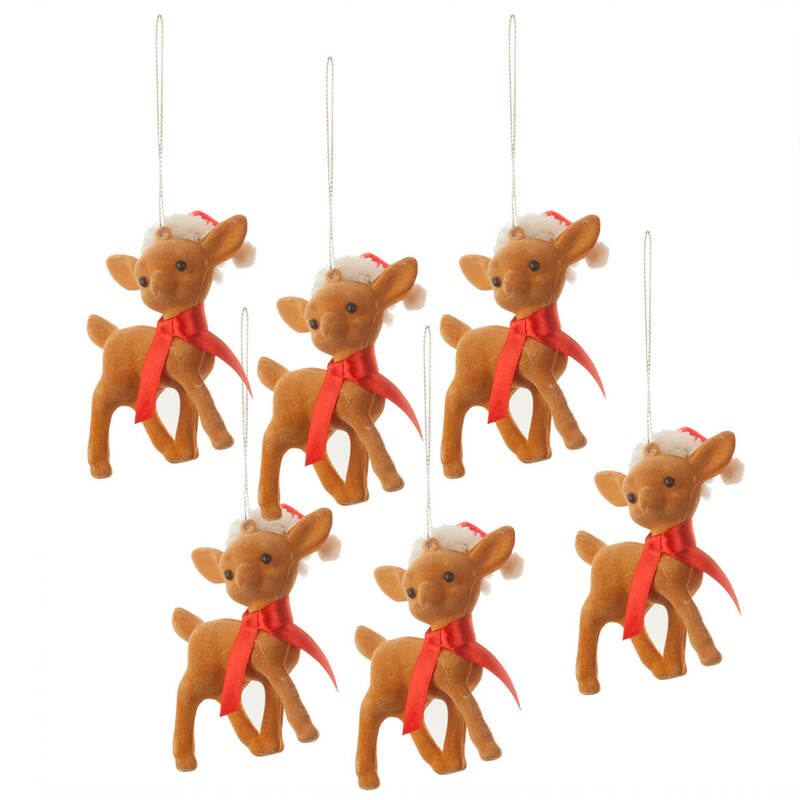 These little reindeer will be hanging on my tree every Christmas and making me smile with warm memories. I bought two sets of these to see how they looked. I plan to use them as table favors for a large Christmas luncheon in Dec 2019. I like the look; they are not too small so I reordered another 5 sets. These reindeer are so cute. They will be adorable on our Christmas tree next year. I purchased these ornaments for our home owners association since we annually gift all the home owners a Christmas card with an ornament gift. 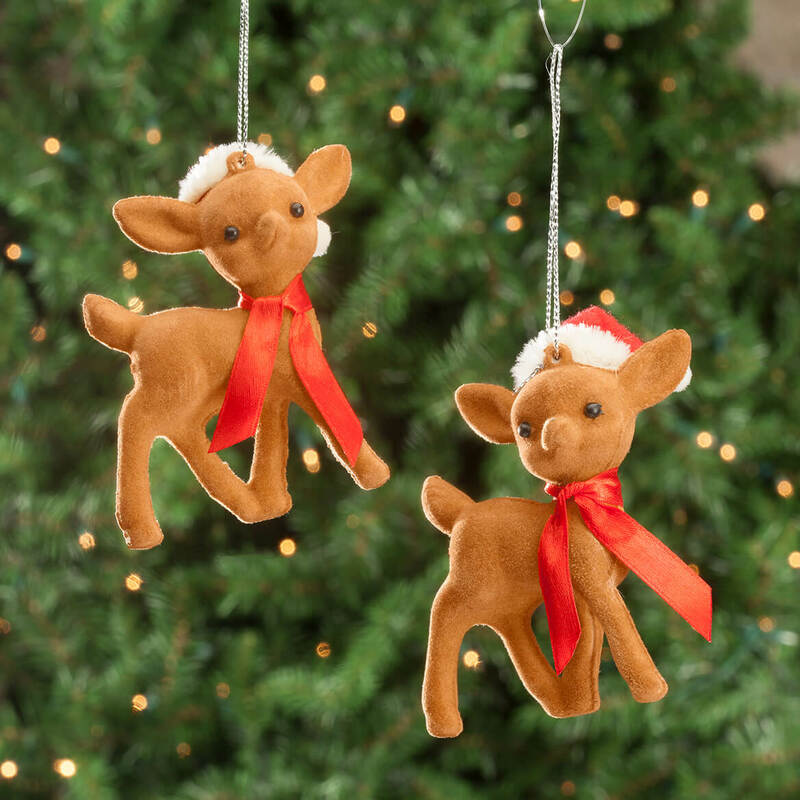 Some of the reindeer ornaments have the fuzzy outside missing in many places. Reminds me of my childhood ornaments. cute. reminds me of what we had when I grew up. 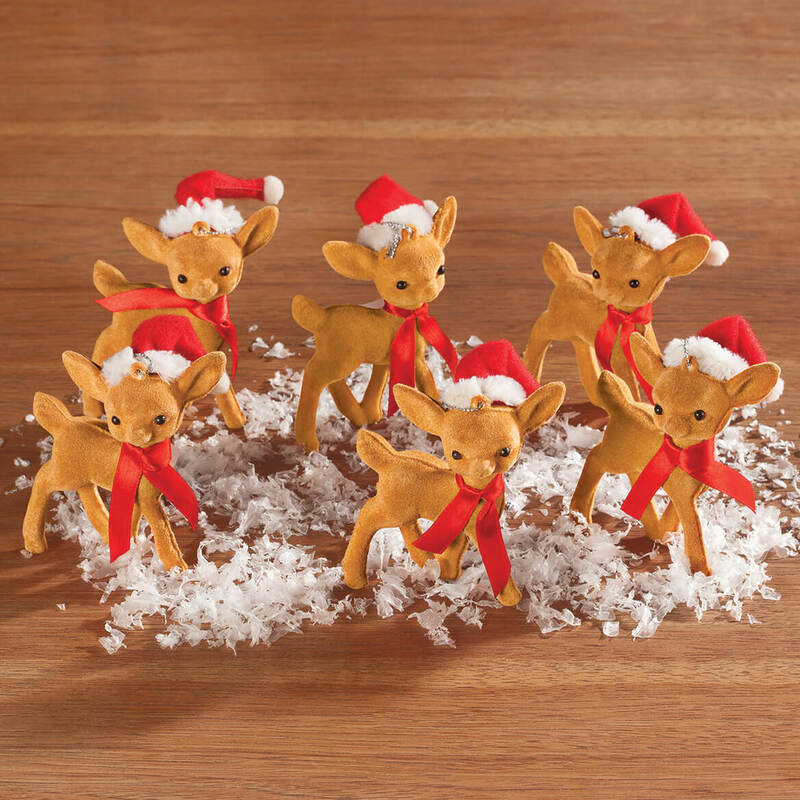 my grandmother had an entire set of 12. i will always remember those reindeer.and i am 63 years old. Reminds me of my childhood and many a Merry Christmas! I loved these ornaments they remind of the kind of ornaments my grandparents would put on our presents when I was a little kid. Brings back good childhood memories.